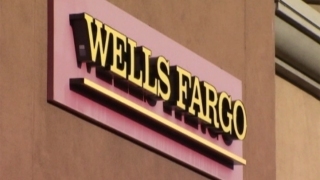 File image of a Wells Fargo sign. A woman who robbed five Bay Area banks in six months while she was a fugitive from drug charges has been sentenced in federal court in San Francisco to 10 years and 10 months in prison. Yolanda Brown, also known as Yo-Yo, 48, of San Francisco, was given the sentence Monday by U.S. District Judge Thelton Henderson. She pleaded guilty last year to five counts of robbing banks and credit unions, one count of being an ex-felon in possession of a gun and one count of distributing methamphetamine. The victim institutions were robbed between January and June 2016. They included a Wells Fargo bank in San Francisco in January, a Patelco Credit Union branch in San Leandro that was robbed in both January and February, a Citibank in San Francisco in June and a Wells Fargo bank in Antioch in June. Henderson also ordered her to pay the institutions $19,285 in restitution. Brown was indicted in September 2015 on the charge of methamphetamine distribution and was granted pretrial release on a $50,000 bond on the condition that she participate in residential drug treatment. She failed to show up for a bail review hearing on Jan. 5, 2016, and was arrested near her brother's house in San Francisco on the following July 27, according to prosecution filings. Brown was charged with the bank robberies and gun possession in a second indictment in October 2016.